I have to be honest…I kind of see the appeal? I mean, back in my day it was those best friend necklaces where it was a heart split in half and you each wore one, but same idea, right? There’s something about the teenage years that are made for big declarations, and telling the world who your BFF is falls into that category. 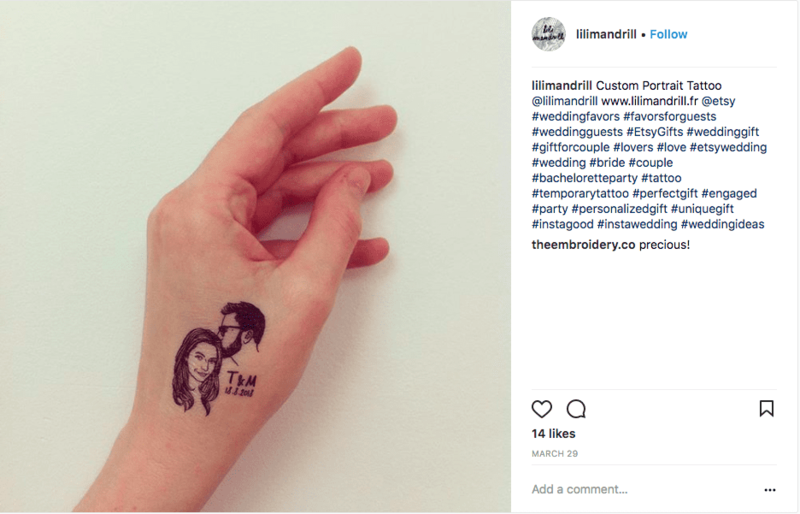 The sets of 25 custom (temporary) tattoos are $80 from Etsy seller Lilimandrill, and all you have to do is send in a favorite photo. 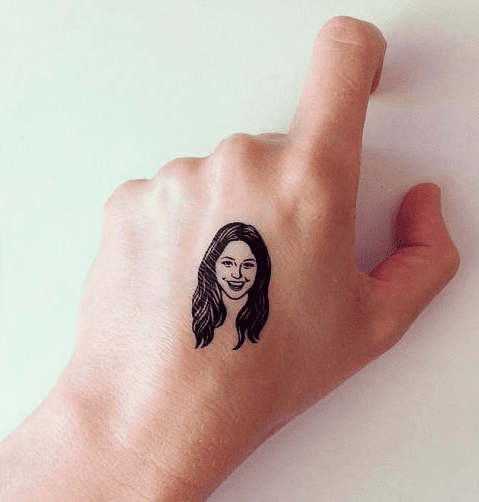 An artist will use it to create a sketch that will eventually become your tattoo. 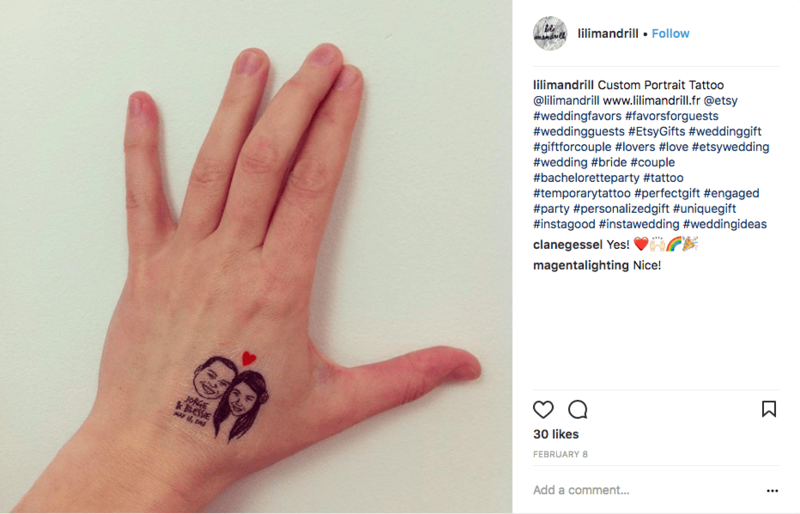 Some people are using them to get couples tattoos, instead, and I personally think that would be a pretty cool shower/wedding favor. Oh! 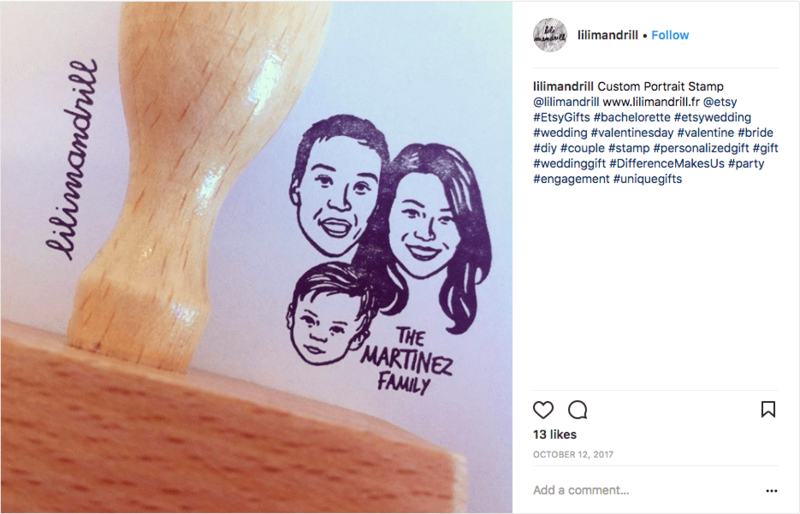 She also sells custom stamps, and I’m totally grabbing one for future Christmas cards.